Apologies for my disorganised behaviour, I honestly wasn't expecting such a turn-out. 2] You're dedicated following to free beer!! The tasting notes and all those incriminating photos will be posted up after the weekend, I did destroy the one of Simon and that bottle of chimay, unfortunately I was legally obliged!! All those who didn't make it, we'd love to see you next month. i was at the tassting last night and thought it was great ;) i especially liked the barbar which was exquisite. i definately be there next month. keep me updated. Thank you for making it happen :) Enjoyed every minute. I'd say Barbar is the clear winner with Forbidden fruit coming close. Vedett and Chimay feel very average, compared to these two. As for Hopsinjoor... I love hopps, but something was missing there. And the Kriek was nice, but it can't really be compared with any of the other five ;) When are we having a Kriek-only tasting? 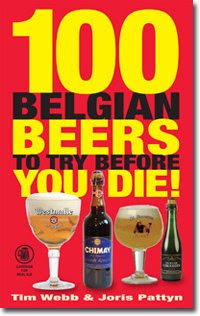 I'd be really keen on having a Kriek only tasting - not too sure if we'd have a turn out thou! !Thanks for making it the other night, see you Thursday 23rd? Scottish ales.